Do you ever wonder why your photos come out blurry? Or why you can never seem to just focus on what you want to focus on? You may be encountering some of the common mistakes that even some experienced photographers also make. The following are some of the simple things limiting you from taking sharp photos and their perfect remedies. Camera blur occurs if the camera is not still when taking photos. This problem can happen due to the excitement that makes the photographer mash down the camera shutter button forcefully. This blurry thing causes the camera to move resulting in blurry images. Camera blur can also be as a result of too low shutter speed. In this case, the natural shaking of your hands will cause blurry and soft photographs. Accidental camera shake or movements are inevitable in the world of photography. So what can we do to solve this problem? In case your subject is still, work on your shutter speed and ensure its 1 per the focal length of the camera lens. This means if your camera uses a 100mm lens, then shutter speed should be adjusted to 1/100. 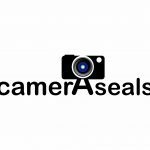 If you are an entry level photographer and cannot use shutter speed fast enough to freeze out your camera shake, then, secure some form of support for your camera. Getting a monopod can be of great help because besides helping you to reduce the camera shake it will take the weight of heavy telephoto lens off your arms. The monopod is lightweight and accords the freedom of movement, especially when shooting moving objects. However, if you require maximum camera stability go for a tripod. Entry level cameras made with the well-designed lens could result in capturing crisper images. One of the options that I recommend is that you need to, at least, acquire the standard lens designed for your own purposes because different lens will bring you different picture style, choose the one you like the best. Alternatively, you should learn to optimize the strengths of the lens that you already own. Avoid using your lens at both of its aperture range extremes. For example, if you have a f/5.6 lens use it at f/7.1 if that is possible. This will produce images with better quality since that aperture range is sharp enough. Consider the focal range of your lens and shoot at the middle of that range. For example, if your lens has a focal range of 18mm-55m shoot photographs at the middle value of this range. You should also know that lenses are designed differently with unique sweet spots, to optimize the functionality of each lens you should apply this rule. This occurs when you use too low shutter speed that your camera cannot freeze motion in the scene. This can occur when shooting a moving subject like in sports or in this case, a running bus. Even pro photographers struggle at times to take sharp photos when shooting sports. To get sharper images especially when shooting indoor sports the following should be done. Caution must be taken here because using flash at big indoor events will not sound appropriate. Instead, make good use of the strobe lights that are installed in the rafters of the venue. Go for cameras with the master flash since they are able to trigger the lights installed at the venue without affect the sports people. When the ISO speed of your camera is increased, the camera processes the light faster. This will, in turn, give your more light (double the light) for similar shutter speed. If you are after getting more light, adjust your shutter speed to be high and initiate the motion freezing effect. However, caution must be taken because when shooting at high ISO speed your photographs might end up getting grainy. It is better having grainy images than blurry images, so when making your choice consider the two and go with what you can tolerate. When going for portrait images you can increase the aperture so as to take sharp images. The only drawback to increasing the aperture is that you will end up reducing the depth of field. However, a wise choice must be made knowing that it’s hard to have all the subjects in your scene and fail to blur some. At times blurring of images is considered to be good because it used to create artistic effects. Other times you want to avoid it like a plague, if that is your case then apply the above remedy. This is the major reason most photographers are unable to take sharp images. The focus point should be on your subjects’ eye, but in most cases, photographers fail to adhere to this rule. This happens when you fail to manually move your cameras focusing point or adjust your lens. In other cases, you resort to using the focus and recompose technique of shooting. This happens when your camera is focused on a spot with no focus point, especially for the entry level DSLR. This will force you to recompose as you shift your camera’s angle and as a result, the images turn out blurry. To capture a sharp special moment you need to work on your focusing. The best way is to use the technique of looking directly into your subject eye. This works magic, remember direct eye contact is very engaging even in real life. If this applied in photography the results are also excellent. Hold your camera at eye level of your subject, this helps to unleash the power of mesmerizing smiles and magnetic gaze. As a result, your photographs will be incredibly sharp. Eye level will not only make photographing easy but also gives an inviting and personal feeling. Also to have a proper focus move close to your subject. Take a step or two and make the perfect zoom of your subject. This helps to fill the photograph area of your camera and helps to capture detailed images. Caution must be taken not to be too close to your subject. Another technique is moving your subject away from the center of the photo. This brings your photo to life and makes it great. And when the subject moves away from the middle, your focus should be locked. When the focus is locked and the subject is away from the middle you can then recompose the photographs for crisper results. Depth of filed (DOF) is described as the front-back-zone of the picture in which the picture is razor sharp. your subjects will lose the focus once it is out this range. To get razor sharp images you must determine the zone of optimum focus. Within this zone, your camera will produce stunningly sharp photos. Shallow DOF is when the focus range of your camera is shallow. This is affected by three factors aperture size, focal length and the distance of the subject from the lens. Although shallow depth-of-field is perfect for portrait photographs, it should be done to a certain limit. For example, when a low aperture is combined with a long lens and you capture your subject from close range, your depth is always very thin. As a result, your focus point might be misplaced- some parts of your subject’s body will be out of focus and this will result in blurry images. If you are shooting family, weddings or engagement photos, increase the depth of field and ensure you focus on front person. You must manipulate the depth of field to get crisper images. This can be achieved by adjusting the aperture of your camera. This is ideal because its effect on your image composition is close to none. Adjust the shutter speed and the ISO-light sensitivity to allow for compensation of the changes made from adjustment to f-number. As mentioned earlier the depth of field is affected by three factors. It’s good to note that apart from the aperture the other two will cause effects to the image composition. Therefore, depth of field is best manipulated by changing the aperture. If you mount your camera on a tripod, it can wobble a little when touched. This vibration reduces the sharpness of the photographs taken. The vibrations become an issue when the exposure time is left to be too long. Press-releasing the cameras shutter button also results in vibrations. The cameras shutter mechanism can be a major cause of camera vibrations that affects the quality of the photographs taken. The following techniques should be adopted to reduce or eliminate the vibrations of your camera. This helps reduced camera vibration that results from the pressing and releasing the shutter button. When the exposure time is significantly reduced to about 1/250s, the camera will hardly record any vibration. This technique requires a lot of light, caution must be taken when applying it. Most modern DSLR have the mirror lock-up feature. This feature allows you to move the integrated camera mirror to up position. When in this position the camera is able to shoot photographs without having any vibrations. A diopter is a small wheel found in almost all DSLR. The small wheel is always placed next to the camera viewfinder. Diopter is used to adjust focus of view shown by the viewfinder when you look through the camera lens. When the diopter is adjusted it does not affect the way the image sensor records images but the view you see when you look through the viewfinder. If the diopter is not properly adjusted you will not be able to have a clear view of how well your image is focused. This can cause problems like improper focus which leads to blurry images. Next time you go shooting, ensure the diopter is adjusted properly and that the viewfinder is perfectly sharp. The general rule for sharp photographs for hand-held DSLR has always been one second per the camera focal length. This rule has not changed, if your camera has a 100mm lens, then you will need to shoot at the speed of 1/100 seconds. The shutter speed is designed in a special way and this will require you to set your speed at 1/125 seconds or higher. If the shutter speed is lower than this value then you will most likely take blurry photos. For example, if you use Nikon camera with APS-C lens mounted e.g. the Nikon D5200. The magnification factor of its focal length is 1.5x. This will require you to set your shutter speed at 1/150seconds and above. In case your camera has a built-in image stabilization system, it will compensate for any unwanted camera shake. This would in turn allow you to take photos at lower shutter speed. With the technological advancement recorded in this industry, we have seen the manufacture of camera with 4EV compensation. Such a camera allow for the reduction of shutter speed by 16x. When in doubt, check your shutter speed first. Most of the time, this is set wrong and can make a big difference in the quality of your photos. Remember that it is 1 second/focal length of your lens and remember to keep your ISO low to reduce noise in your pictures. You don’t want the noise to destroy your pretty image. Hold your camera steady or use a tripod. You can also support yourself on something sturdy. Adjust your ISO, especially in low light situations. The higher the ISO, the faster the camera takes a picture. Get the appropriate lens for your camera. Having the right lens can make all the difference. Change your shutter speed for high-motion pictures. Always have a focal point. An eye makes for an excellent focal point. Adjust your aperature for depth of field manipulation. Use a self-timer or cable release to take photos. This helps prevent the camera from shaking. Ensure that your diopter is adjusted for maximum crispness. If these are not enough for you, here are bonus tips for your photography masterpiece.